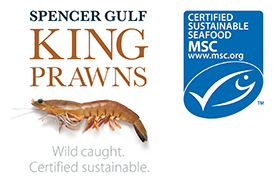 Spencer Gulf & West Coast Prawn Fisherman's Association Inc. The Prawn Association is a non-profit Primary Resources Development Organisation that formed in 1968 and was incorporated in South Australia on 14 February 1984. It represents the Spencer Gulf and West Coast Prawn Fishery licence holders. The success of the Association has been through the commitment of licence holders to build relationships with other stakeholders and the public for our future. The Prawn Association represents both the West Coast and the Spencer Gulf when conducting its business. The Association employs three staff to carry out operations, manage projects and deal with day-to-day activities. Two of the three positions conduct all of the management and administration functions, whilst the other position focuses on the operational side of the business (fishing). The work undertaken by staff is directed by the Management Committee. 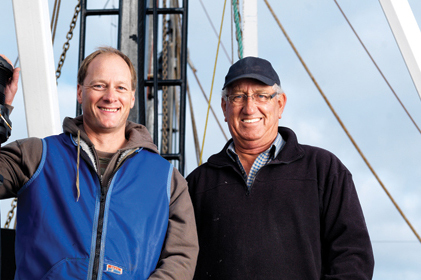 The Management Committee is comprised of nine members as provided for in the Association’s Constitution: an independent chairperson; seven licence holders (or their nominees) of the Spencer Gulf Prawn Fishery and one licence holder (or their nominee) from the West Coast Prawn Fishery. Membership to the committee is staggered between members for a two year term to ensure there is continuity in corporate knowledge. Members can sit for sequential terms. The Constitution also provides for the establishment of Sub-Committees by the Management Committee as required. At least one Management Committee member must sit on a Sub-Committee. These positions are also voluntary, and can require more time and commitment from members than that of Management Committee members. The Prawn Association operates under Co-management arrangements with the government to manage the prawn fisheries. This arrangement has evolved over time, through the Prawn Association demonstrating its commitment to the environment, credibility and good governance practices. The Prawn Association has developed a number of gentlemens agreements to prevent fishing in waters to be protected, and policies and agreements for the safe and good conduct of fishers. The Skippers Code of Practice is a significant working tool that the prawn industry uses specifically developed for the safety of fishers (ie stop fishing in bad weather) as well as quality enhancement of the product. Additionally, the Prawn Association works with other commercial fishers to ensure practices within the fishing industry is safe and done in a respectful manner.